T. James Belich is an author and playwright who has written more than two dozen plays, which have seen hundreds of productions across the United States and around the world. A longtime actor, his favorite roles include Father Flynn in Doubt, a Parable and Sergeant Trotter in The Mousetrap. He premiered his one-man physics show Schrodinger's Cat Must Die! at the Minnesota Fringe Festival. 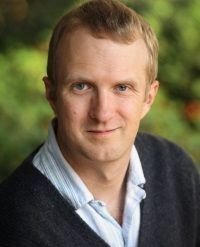 In addition to his career as a writer, James has a background in the sciences, having studied physics at Bethel University and the University of Minnesota. Outside of writing, he loves a good cup of tea, reading, and traveling. His favorite destinations include Great Britain, Italy, and Costa Rica. Originally from Saint Paul, MN, James lives in Florida with his wife and son. For more information on T. James Belich or to contact the author, visit his web page.